Maybe you are a tax preparer hoping to advance your career. Maybe you don’t yet have any tax return experience but are interested in entering the industry. In either case, becoming an enrolled agent (EA) would be advantageous for you. I’ll help you find the motivation you need to become an EA by revealing the benefits of the EA designation. Why Should You Become an EA? According to the National Association of Enrolled Agents (NAEA), an enrolled agent is a tax practitioner with technical expertise in taxation. Additionally, an EA enjoys full authorization to represent taxpayers before all administrative levels of the Internal Revenue Service (IRS). When we break down the title, we learn that “enrolled” means licensed to practice by the federal government. In addition, we see that “agent” means a person authorized to appear in place of the taxpayer before the IRS. The U.S. CPA license is one of the most respected accounting certifications. But when it comes to representation before the IRS, the EA is right there with the CPA. Therefore, if certain obstacles prevent you from earning the CPA, but you plan to specialize in tax, you can get the EA license and be just as capable. The IRS grants both CPAs and EAs the ability to represent a taxpayer without any limitations. As an EA, you will always be in the IRS National Database so long as you maintain the continuing education (CE) and Preparer Tax Identification Number (PTIN) requirements. As a result, you can handle any type of tax matter (even audits, collections, and appeals), represent clients before any IRS office, and represent any taxpayer in any state. You don’t ever have to turn away clients because of situations outside your professional clearance level. 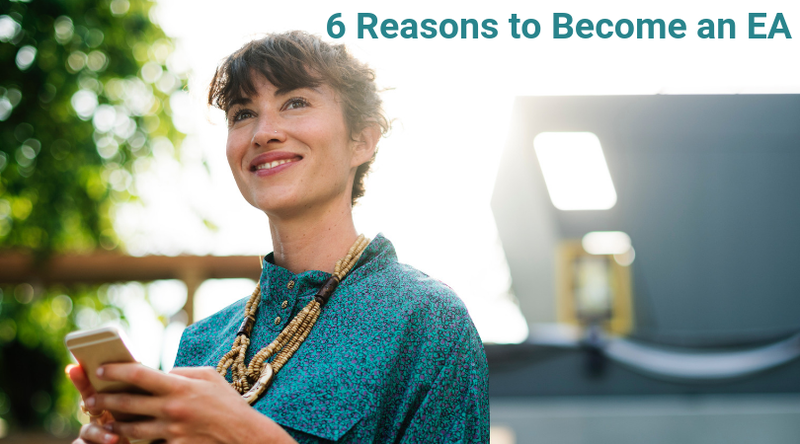 For these reasons, you can offer a wide range of services to the public and set yourself apart from your unenrolled peers. To demonstrate just how privileged enrolled agents are, the National Association of Tax Professionals compares the abilities of various tax professionals. As you can see, when it comes to taxes, there is nothing you can’t do as an EA. The IRS doesn’t award unlimited representation to just anyone. No, everyone knows that with the IRS’s stamp of approval, enrolled agents are the real tax experts. That’s because, in the process of earning the EA designation, you will increase your tax knowledge and abilities. Then, once you have the credential, you’ll have the credibility that comes with it. The Department of Treasury regulates the EA designation, so all 50 states recognize and respect it. The EA’s universal acceptance and esteem stand in stark contrast to the CPA license, which the state boards of accountancy grant individually. The variance among CPA license applications and requirements as well as the lack of tax depth in the CPA Exam syllabus means CPAs may or may not be capable of providing knowledge and services equivalent to that of an EA. Accordingly, CPAs don’t usually have the same amount of passion to keep up with and perform tax services. So, when you have the EA license, you’ll be known as the most committed and qualified of tax professionals. Then, when CPAs decline opportunities to provide tax assistance, you can swoop in and deliver the help clients need. Because you’ll be a confirmed tax expert with unlimited rights before the IRS, you won’t have to turn down any chance to make money by supplying tax services. Instead, you can complete more complicated tax returns, which means you can increase your earning potential. The services you can offer include helping people with audits, preparing and filing documents on a client’s behalf, attending hearings and conferences in place of your client, and providing written advice to third parties on the tax implications of business transactions. These services are lucrative not only because they are vast, but also because they are in demand across all industries. All kinds of entities require the assistance of enrolled agents, such as accounting firms, law firms, investment firms, corporate accounting departments, state departments of revenue, banks, and private practices. With so many work opportunities available, you’ll have the freedom to decide if you’d like to work full-time or part-time; year-round or just during busy season; for yourself or someone else. In fact, with the independence you’ll have to work as much as you like and on whatever kind of accounts you like, your earning potential is unlimited. And don’t forget: On average, EAs earn about 10% more per return than an unenrolled tax preparer. As you can see from this chart, the more experience you acquire as an enrolled agent, the more money you can make. As we all know, only 2 things in life are certain: death and taxes. But because taxes are a sure thing, so are jobs for enrolled agents. Basically, as long as people must pay taxes, they’ll need the aid of enrolled agents. Therefore, enrolled agents will be in demand indefinitely. Even when the country goes through tough economic times, you can stay afloat on the EA designation. Likewise, in light of continuous changes to the tax code, the enrolled agent designation is always valued. And that’s not to mention the increasing need for enrolled agents in healthier economic climates. The IRS has been bumping up the number of examinations they perform each season, so more people are calling on enrolled agents to get them through audits each year. Unlike candidates pursuing the CPA, CMA, CIA, and other accounting certifications, EA candidates do not have to meet any education or experience requirements. That’s right: you don’t need a specific degree or specific job to become an enrolled agent. A PTIN is a Preparer Tax Identification Number. Consequently, all paid tax preparers must have a PTIN. To get one, you must create an account at the IRS’s website and complete the application. The EA exam, officially called the Special Enrollment Examination (SEE), is a 3-part exam covering federal taxation. Each part requires you to answer 100 multiple-choice questions in 3.5 hours. The Enrolled Agent exam pass rates range from 61-86%. So, if you are in tax or plan to practice tax, the exam shouldn’t be too difficult. EA candidates with IRS experience must fill out a form, undergo a background check, and have their tax transcripts reviewed. You must apply for enrollment within 1 year of passing your final EA exam part. This application involves filling out a form and paying a $30 fee. Application processing takes 60 days, and during this time, the IRS conducts reviews your personal tax compliance. Finally, the enrolled agent designation is a great career investment to make because it is a small investment. To take and pass the EA exam, you must pay at least $545.82 ($181.94 per part) in exam fees and about $500 on review course materials. The $30 enrollment fee brings your EA expenses to just under $1,100. That total is considerably lower than what you would spend on other accounting certifications. Of equal importance is the amount of time you’ll spend studying for the EA exam. You must pass all 3 exam parts within 2 years. However, if you are very familiar with the tax code, you could sufficiently prepare for the exam in a matter of weeks (about 4-7). But if you need further tax law training, your entire EA review could last at least 4 months. Therefore, you will need to make a commitment of time and effort to pass the EA exam, but it is less of a commitment than you’d make to finish other professional exams. For example, the CPA, CIA, and CMA exams can take 1-2 years to pass. Once you have the EA in hand, you will need to maintain it by meeting continuing education (CE) requirements. You must clock 72 hours of CE every 3 years with a minimum of 16 hours per year, and at least 2 of your 16 annual hours must focus on ethics. CE courses can cost anywhere from $200-$300 a year. But as we already learned, the EA salary can handle that figure with ease. One bonus benefit of the EA is additional networking opportunities. As an enrolled agent, you’ll have to chance to attend many Enrolled Agent Association events. At these events, you can increase your tax knowledge and expand your professional connections. And, you may even be able to earn CE at conferences and seminars. You might be surprised by how much EA exam prep can simplify the steps to becoming an enrolled agent. For example, when your course includes a free trial, access until you pass the EA exam, assistance from exam mentors, and more, your EA journey can be pretty short and smooth. Therefore, you should learn more about EA review and get my recommendations so you can find the right enrolled agent course for you. Then, discover my EA review discounts so you can save big on EA exam prep. Just like your EA review course, I’m here to help you become an enrolled agent, and I lay out the path from start to finish. My 10-step guide tells you how to become an enrolled agent. Additionally, my answers to EA exam FAQ help you keep moving forward toward the EA designation. Thank you. I was not sure if EA is good for me or not. Now I know that I will try to become EA.